I am a newbie in salesforce. I have a batch apex class. I wrote a test class for the class and my test method is passed but am not getting the code coverage. I have covered 42% of the code. 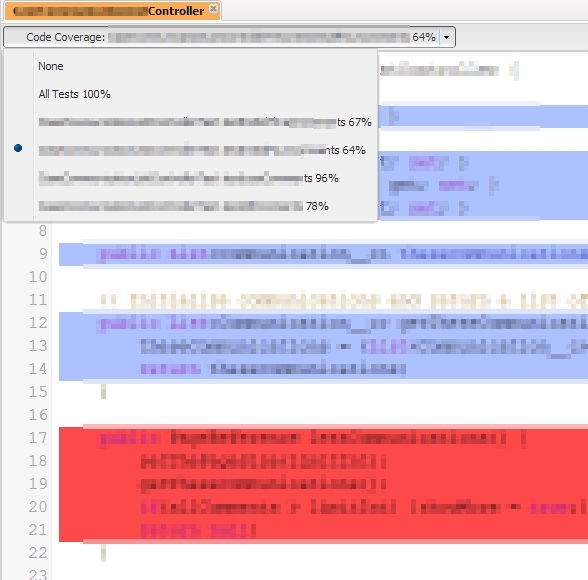 You can see which lines of your class are covered and which are not by using the Developer Console, see the salesforce help for details on how to view coverage and to see a screenshot of the coverage view. Add additional test methods to cover each branch of your conditional logic. If you aren't sure how to test a certain block of code, ask yourself what conditions cause that code to run under normal circumstances, and design a test to replicate those conditions. Also remember that these are meant to be unit tests, not integration tests; it's fine to create data in your tests that tests only a certain part of your process. Some of your conditionals are based on record CreatedDate values. These can be hard to test because you can't set the CreatedDate directly, however, if you load test data from a static resource you can include CreatedDate in the csv file. Sometimes you may not be able to test every line of code within a file, for example, some error conditions can be hard to replicate in a test. The requirement for deployment to production is 75% org-wide coverage; individual files can be lower than 75% if necessary as long as the org-wide coverage is ok. There are a lot of branches in you class that are not being covered by this single test. For example "if (errorsToLog.isEmpty() == false)" - has about 7 lines that are not being covered. You need to write further test methods with data that will run down these routes. And this will help you work out which routes you need to test. Not the answer you're looking for? Browse other questions tagged apex code-coverage unit-test or ask your own question. Is it a right approach to preform data processing in the finish method of batch Class?